Ranked as a Best Buy for new-car shoppers, Corolla is also appealing secondhand–but prices aren’t the lowest by any means in the subcompact league. 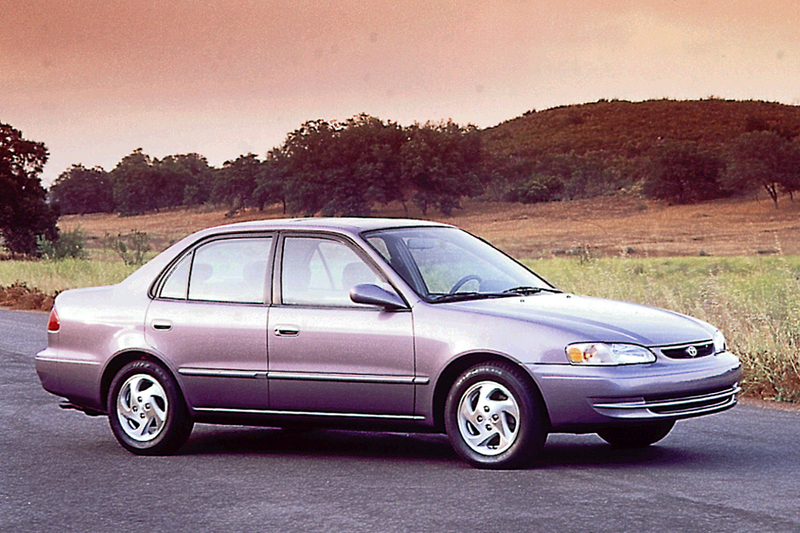 Slightly larger and more powerful than the previous Corolla, the redesigned ’98 models also offered the option of front side airbags. 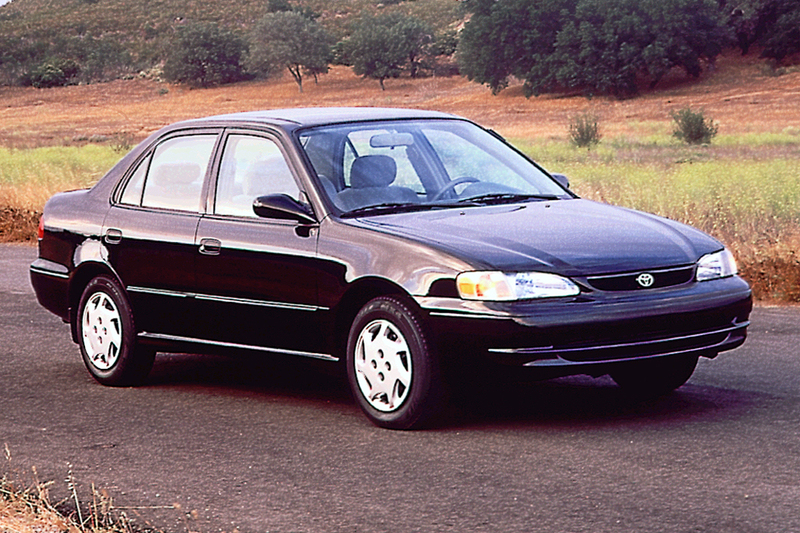 Available only as a 4-door sedan, the new Corolla rode the same wheelbase as before, but measured two inches longer. Most interior dimensions grew just slightly. 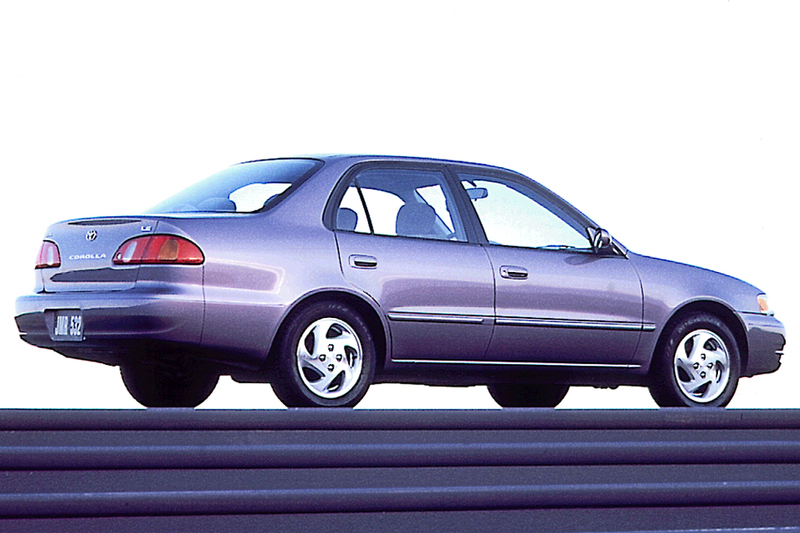 As before, Corolla’s design and powertrain were shared with the Chevrolet Prizm. Base VE, CE, and top-line LE models went on sale. All models used the same 120-horsepower, 1.8-liter 4-cylinder engine. Five-speed manual shift was standard. A 3-speed automatic transmission was optional on the VE model, and a 4-speed automatic on the CE and LE. Optional on all models, the new side airbags were mounted to the front seatbacks. Antilock brakes were optional on all Corollas. Changes were few in the new design’s second season. All models now had a front stabilizer bar. 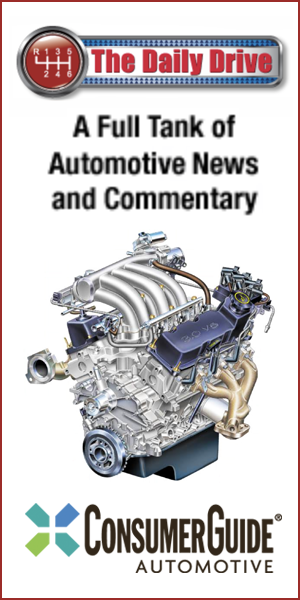 Adoption of VVT-i variable-valve timing added 5 horsepower to the Corolla’s engine. A tilt steering wheel became standard on CE and LE models. Corolla got new front and rear fascias for 2001. 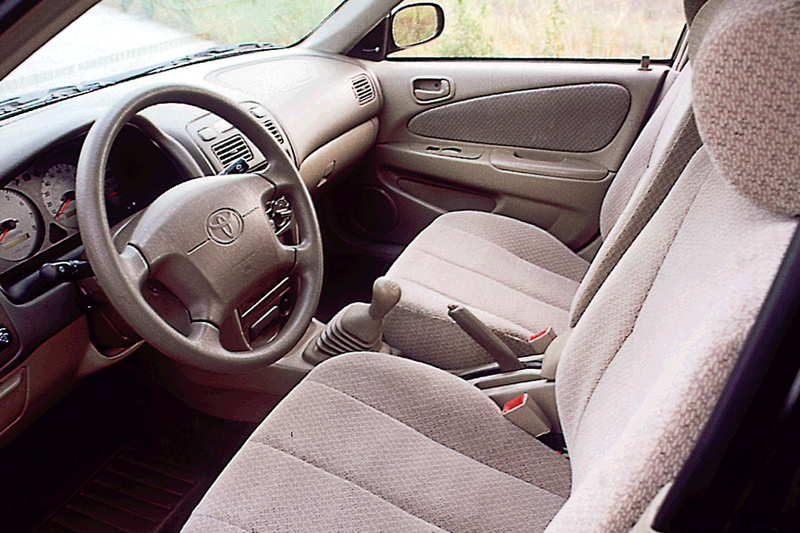 The VE model was dropped, and the CE lost such standard features as tilt steering wheel, cassette player, rear defogger, and split/fold rear seat. Also new for 2001 was a sport-oriented S model with color-keyed trim, fog lights, wider tires, and tachometer. 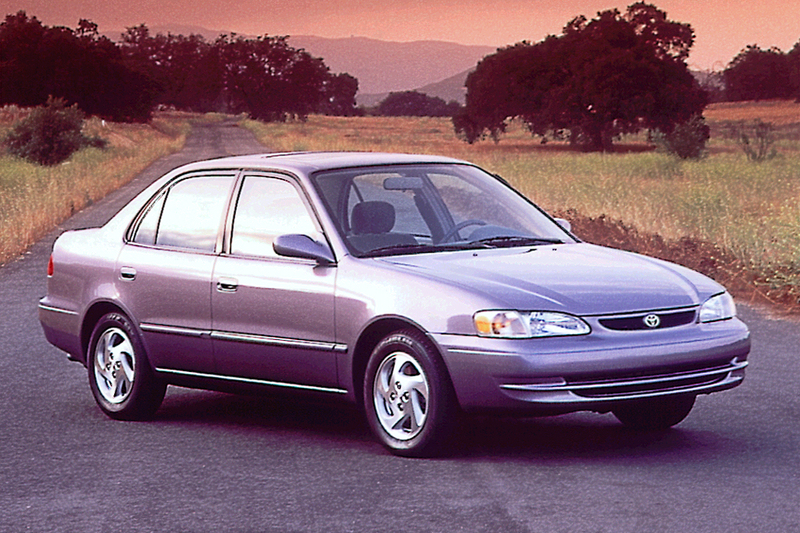 With an all-new sedan due in February as an ’03 model, Corolla was unchanged for 2002. All Corollas had the same engine: a dual-overhead-cam 4-cylinder, rated at 120 horsepower. Either a 5-speed manual transmission or a 4-speed automatic (3-speed on the low-budget VE edition) might be installed. Engine output rose to 125 horsepower for 2000. 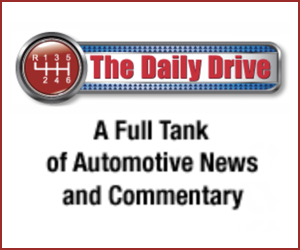 Although the new car feels stronger at higher engine speeds, automatic-transmission models feel somewhat sluggish at first, failing to deliver a sharp jump off the line from a standstill. Acceleration, in fact, ranks about average for a subcompact. In addition, turning on the air conditioner deadens performance noticeably. The 4-speed automatic transmission provides smooth, timely upshifts and prompt downshifts for passing, but seems to cut engine power slightly during gear changes. Corolla suspensions are tuned to provide a comfortable ride, rather than sporty handling. Bumps are absorbed nicely, with good straightline stability, but high-speed turns produce excessive body roll. This drawback is especially noticeable in the 1998 VE and CE, which lacked the LE model’s front stabilizer bar. The front stabilizer went into all 1999 models, but body roll remains apparent–though the car is agile and predictable. All told, the ride is even quieter than before, with only moderate wind and road noise at highway speeds. Yes, the engine thrashes when worked hard, but it settles down nicely at cruising speeds. Braking with the optional ABS is swift and undramatic–just as it should be. Like previous Corollas, this latest version is short on back-seat space, and not exactly bountiful up front, either. With average-sized folks seated up front, medium-sized adults can squeeze into the rear seats. Knee room will be snug, however. If front seats are moved more than halfway back, rear leg room becomes extremely tight. On the plus side, back doors are wide enough at the bottom so average-sized people slip easily through the openings. A low cowl and beltline help to give the driver a commanding position. Reaching the radio and climate controls is a bit of a stretch, but all are simple to use and clearly marked. Though useful in size, the trunk has hinges that dip down into the load space when the lid is closed. Description: Some lug nuts on cars distributed by Gulf States Toyota, Inc. are defective, causing loss of torque, fatigue fracture of wheel, and possible loss of wheel. Description: The wheel’s lug nuts may not have been secured properly, leading to possible wheel separation with driving. Dealers will inspect and replace affected parts. Description: Passenger-side frontal airbag inflator may rupture upon deployment and spray metal fragments at the passenger. Price Note: Prices are for vehicles distributed by Toyota Motor Sales, U.S.A., Inc. The dealer invoice and destination charge may be higher in areas served by independent distributors. Heavy-duty rear defogger, starter, and heater, rear heater ducts. Mud guards, rocker panel extensions, white-faced gauges, tachometer, outside temperature indicator, 185/65SR14 tires, full wheel covers. Mud guards, rocker panel extensions, white-faced gauges. Air conditioning, AM/FM/cassette, digital clock. Air conditioning, power windows and door locks. Wood dashboard trim, trunk mat, floormats, rear spoiler, gold pkg. Tachometer, color-keyed mud guards and rocker panel extensions, full wheel covers, 185/65SR14 tires. Remote keyless entry, theft-deterrent system. Requires Value Pkg. Air conditioning, power windows and door locks, digital clock. Extra Value Pkg. 1 plus color-keyed mirrors. In-dash 6-disc CD changer, remote keyless entry, theft-deterrent system, rear spoiler. Tilt steering wheel, cruise control. Heavy-duty heater and rear heater ducts, heavy-duty starter. NA with rear defogger. Remote keyless entry, theft-deterrent system. CE requires power door locks. S and LE require Extra Value Pkg. Option Note: Postproduction options also available. Extra Value Pkg. 1 plus power color-keyed mirrors. Heavy-duty heater and starter, rear heater ducts. Requires rear defogger. CE requires Extra Value Pkg. 1. S requires AM/FM/cassette.